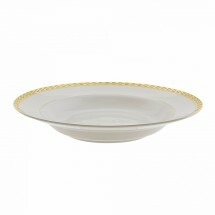 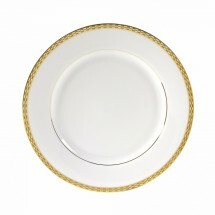 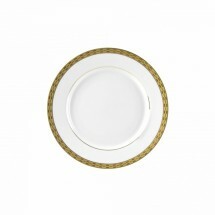 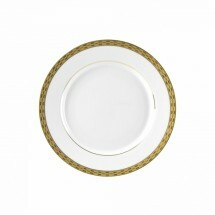 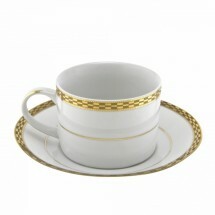 The exquisite Athens Gold dinnerware collection is fine porcelain at its best. 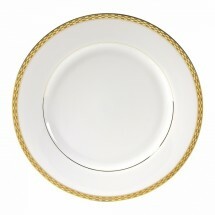 With an elegant two-tone gold pattern along its rim, this restaurant dinnerware collection will prominently display your signature menu items. 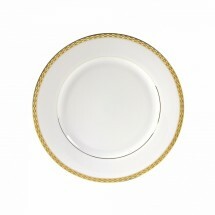 This splendid collection features charger plates, dinner plates, bowls, cups and saucers and more that will be superb for any formal dining occasion such as banquets, wedding receptions, and upscale restaurants.